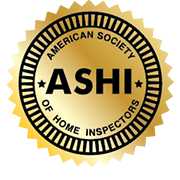 For houses with a septic system, The Commonwealth of Massachusetts requires a Title 5 inspection before title is transferred. The seller is responsible for arranging this inspection, unless otherwise contractually agreed between the buyer and the seller. Note that a septic system has a limited service life. The system inspector is responsible for determining that the system meets or fails Title 5 standards as of the date of the inspection. The inspection is not a guarantee that the system will continue to function adequately and is not a guarantee that it will not fail at a later date. Mold requires water in order to grow. To eliminate mold issues, it is critical to find and stop the source of moisture that is making the mold growth possible. The local fire department is responsible for inspecting smoke and carbon monoxide detectors before title is transferred. The seller is responsible for arranging this inspection.